Millwall climbed above opponents Blackburn and up to sixth in the Championship table after registering a 2-0 away win. Chris Wood opened the scoring, powering in from 25 yards 19 minutes from time, before James Henry sealed it at the death to extend the Lions' unbeaten league run to 11 matches. Blackburn went into the game inside the play-off positions having scored four at Peterborough last time out but Henning Berg's side had been goal-shy in front of their own fans with only nine goals in their eight games at Ewood Park. 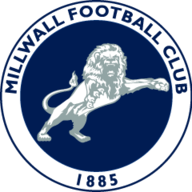 Millwall made the stronger start in a competitive opening and striker Andy Keogh twice had the ball in the back of the net only for both headers to be ruled out for offside. At the other end Argentinian forward Mauro Formica tested visiting goalkeeper David Forde before Ruben Rochina forced an even better save from the Lions' number one who dived full-stretch to tip the ball behind for a corner following a 20-yard drive. Wood, on loan from West Brom, then picked up the ball 20 yards out but his stinging shot was parried by former England keeper Paul Robinson before Grant Hanley hacked the ball to safety. 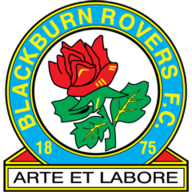 Blackburn started the second period strongly and striker Rhodes, who was almost anonymous for the first 45 minutes, headed over from 12 yards before Martin Olsson nipped between two defenders to strike an effort which deflected up and over the crossbar. Manager Berg then looked to influence the game from the bench as he introduced Manchester United loanee Josh King for his debut and the 20-year-old striker almost made the difference as he forced a fine save from Forde from 12 yards out. Forde then parried from Rochina before Millwall made the breakthrough. Striker Wood found space 25-yards from goal to thump an unstoppable right-footed effort into the roof of the net. The recalled Henry then struck a powerful drive from 30-yards in the final minute to seal it as Millwall climbed into the npower Championship playoff places, leaving Rovers with one win from five.